Alongside iOS 10.3 and macOS Sierra 10.12.4, Apple is introducing new App Store review features for developers. Going forward, developers will be able to respond to customer reviews on the App Store "in a way that is available for all customers to see." This will allow developers to address negative reviews for the first time ever, something that has long been a point of contention in the iOS and Mac App Stores. Previously, developers have had no way to respond to issues that customers report via an app review, or to further converse with a customer that has been having trouble with an app. Developers are also able to ask customers to provide App Store ratings and reviews while using an app, allowing developers to get immediate feedback without requiring a customer to switch over to the App Store. Apps are currently able to ask for reviews and ratings during usage, but doing so requires the App Store app to be opened up, interrupting an app or gameplay experience. 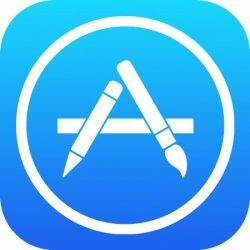 The new App Store ratings and reviews changes will be available to developers when iOS 10.3 and macOS Sierra 10.12.4 are made available to the public. Update: Apple also plans to limit the number of times developers can ask customers to write an App Store review for an app. Only three requests per year will be permitted. Glad they're improving this. Even when I've wanted to leave a review after being asked, I have to switch to the App Store, click reviews, click leave a review, then type my App Store password, then write it. Rarely do I make it through that process. This is good news. One thing I hope they change is, instead of inserting your Apple ID password EVERYTIME you want to submit a review, they allow Touch ID. I can purchase (or my kid when I'm asleep by touching with my finger!) but I can't write a review? TouchID too insecure to validate COMMENTS?! Great news. Though, hopefully people will also learn that reviews are NOT the spot to go for support. If you have an issue, take it to the support channels. In many cases the problem is easy to solve or caused by the user, rather than the app itself. Developers don't deserve to have their product rankings drop because of easily solved issues, yet few will go back and revise their review once the problem is resolved. I'm not a developer, but this will make me pay more for apps with better support, which is better for the AppStore ecosystem in general. It has long been difficult to get balanced reviews. People tend to just review an app when they're a bit annoyed with it. Hopefully this will help to get more reviews and balance the content a bit. Also being able to respond is great. Often you just want the person to reach out, there may be an easy fix already available or you need more info in order to troubleshoot and fix the issue. Not to mention the, fortunately small number but, malicious reviews. This is great news! So often I've seen negative reviews - bonafide ones - where this or the other feature isn't working. Even if a developer was able to say "we're aware of the problem and are working on a fix for the next release, due at (whatever date)", it would go a long way toward client satisfaction. This is absolutely fantastic good news !